I’ve been an Amazon Prime member ever since my first semester of college. Getting those textbooks as fast as possible for as cheap as possible was crucial. Now I just love getting free 2 day shipping on everything I buy on Amazon. But I had no idea I was missing out on so much more with the Amazon Cloud Drive. I’m a hoarder. Seriously. But being self aware is key to pretty much everything right? So, in an effort to keep my house from being TV worthy entertainment, I’ve found a coping skill to allow me purge items I may be tempted to hoard. I photograph everything. At first this was fairly harmless. Who cares how much I’m digitally storing anyway? I own a MacBook Air and built a super PC desktop. Compatibility between these two sources of our livelihood relies on the clouds. Literally. 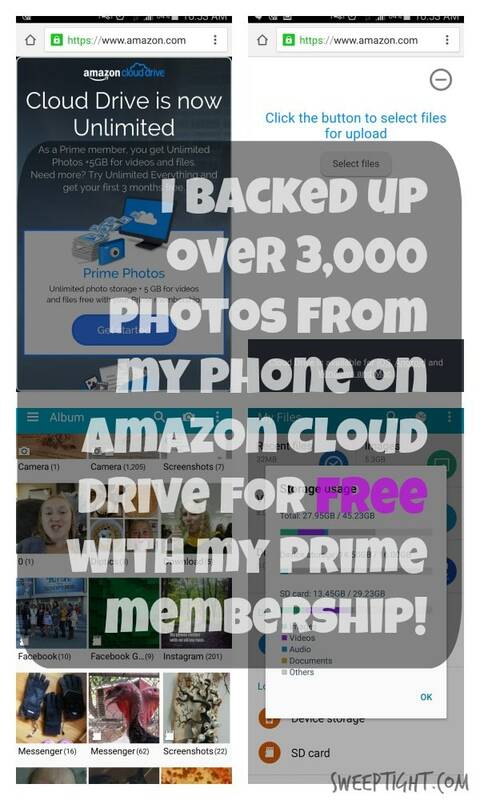 I had no idea, as an Amazon Prime member, I had UNLIMITED cloud drive storage! You can imagine my shock, amazement, and squeals of joy to find out that I could seamlessly declutter my devices, organize my precious photos, and link my two beloved computers for FREE. My phone alone had over 3,000 images on it. It was starting to operate as if it had high cholesterol and blocked arteries. 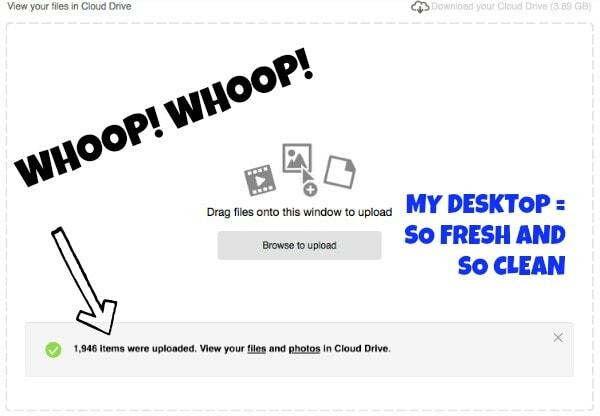 After uploading all my photos to the Amazon Cloud Drive, it’s like new. I take around 500-1000 images a month. It can be quite the daunting task to sort through them all and back them up to ensure their safety. Thankfully, after installing the Amazon Photo app, (available for Android and iOS) my camera roll is automatically backed up. Photos and videos can also be shared via private links from within the Amazon Photo app or by selecting a folder or file to be shared using the web interface on your computer. This makes mine and my sister’s lives so much easier! 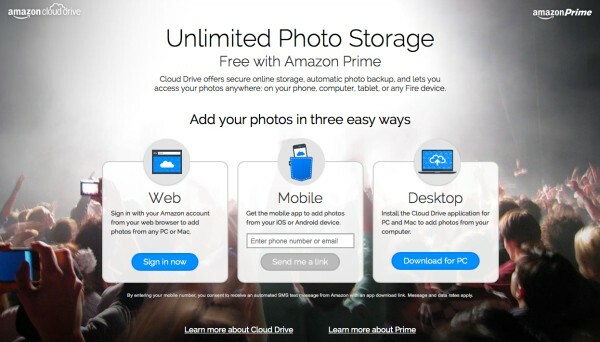 If you’re already an Amazon Prime member, you already have access to the Amazon Cloud Drive with Prime Photos, which includes unlimited photo storage. In addition, Prime members get 5 GB of additional storage space for videos, movies, music and files. Unlimited Everything Plan ($59.99 per year — less than $5 per month): Store and infinite number of new and existing photos, videos, files, documents, movies, and music in Cloud Drive. 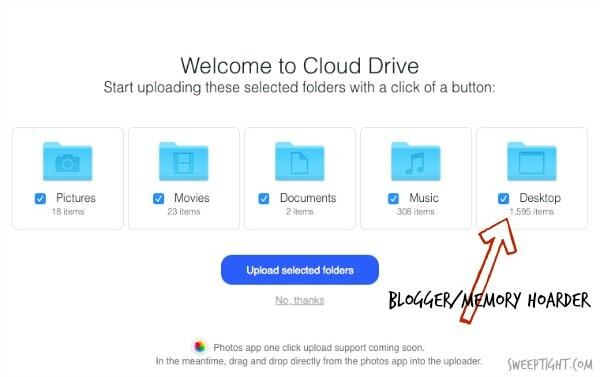 Unlimited Photos Plan ($11.99 per year — less than $1 per month): Similar to the Prime benefits, non Prime members can also store an infinite number of photos in Cloud Drive without worrying about taking up valuable storage space elsewhere. This plan also includes 5 GB of additional storage for videos or other documents and files. What takes up the most space on your devices? Wow! I’m a Prime member and didn’t know about this. Going to check it out now. Thanks very much. I had no idea about this!! I’ve been a Prime member for several years now, and didn’t know this was available. Duh!